Queen Composter shares a quick and inexpensive way to grow food from compost scraps. For those of us who are itching to get their hands dirty there is a quick and easy way to begin a garden inside that can transfer to a container garden outside, on a patio or larger garden. Even if you don’t have a green thumb or desire to grow a backyard garden, there is an easy way to grow some food in containers. water and watch it begin to grow. I enjoy growing food from kitchen scraps, and my favourite is celery because of how easy it is to start. 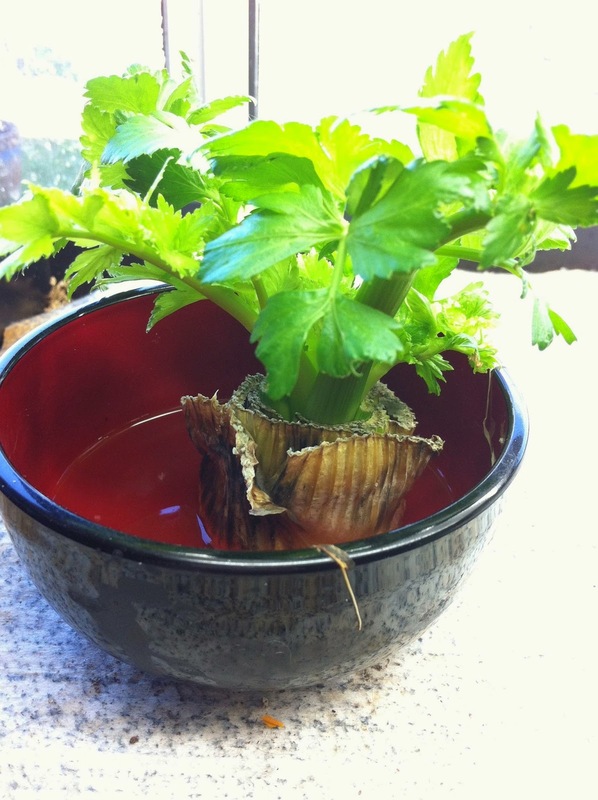 Each winter I buy celery from the grocery store and save the cut ends of the plant to begin a new plant. 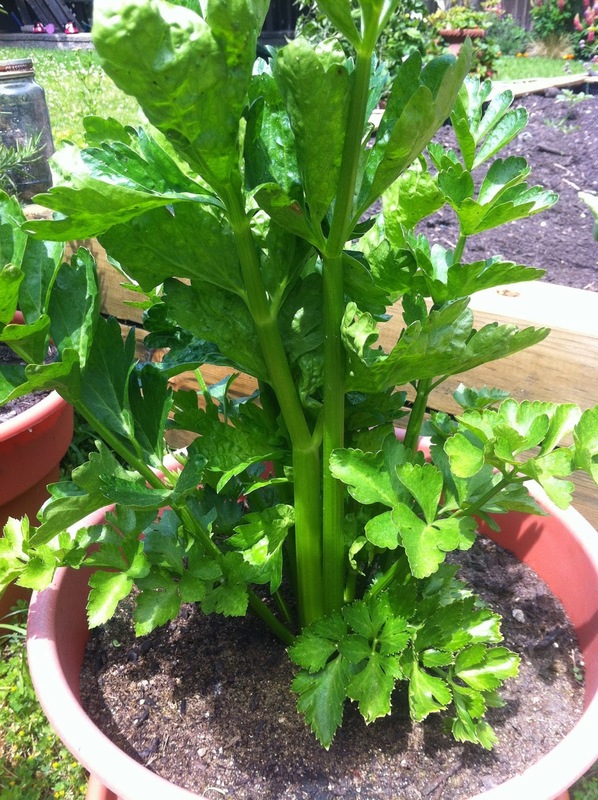 I start my celery inside and when the weather warms up I put it outside in a larger pot. 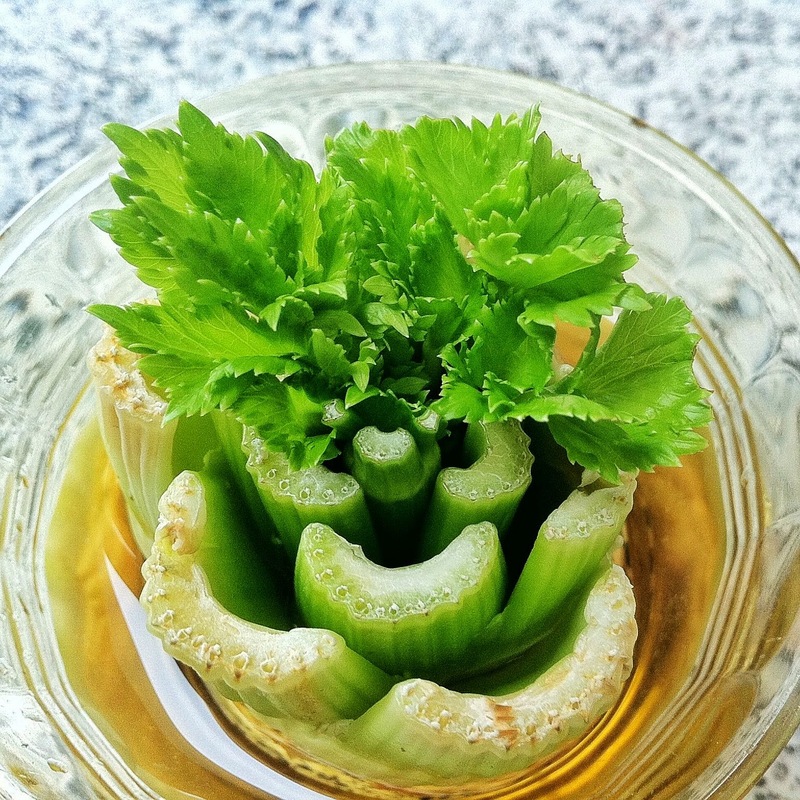 Last year I received many compliments on my flavourful and aromatic celery. After a few days the inner stalks are beginning to grow. 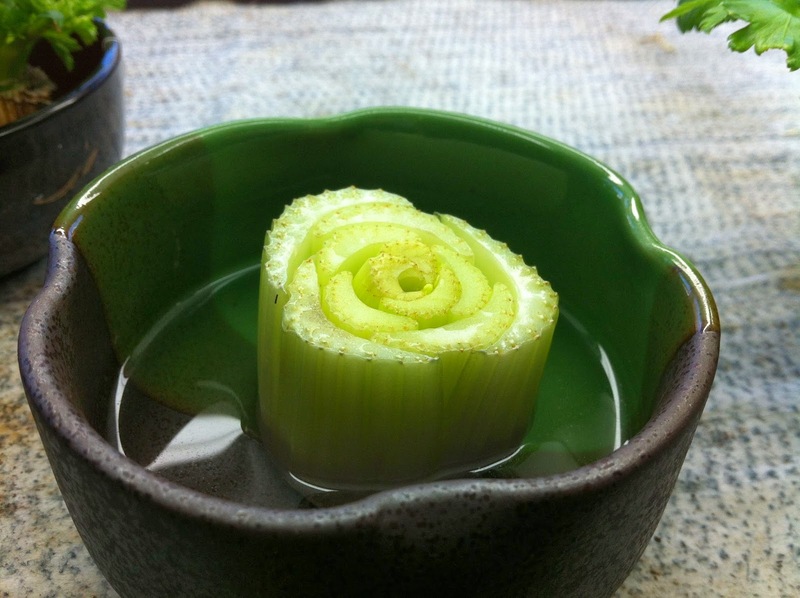 Begin with the cut ends of the celery. 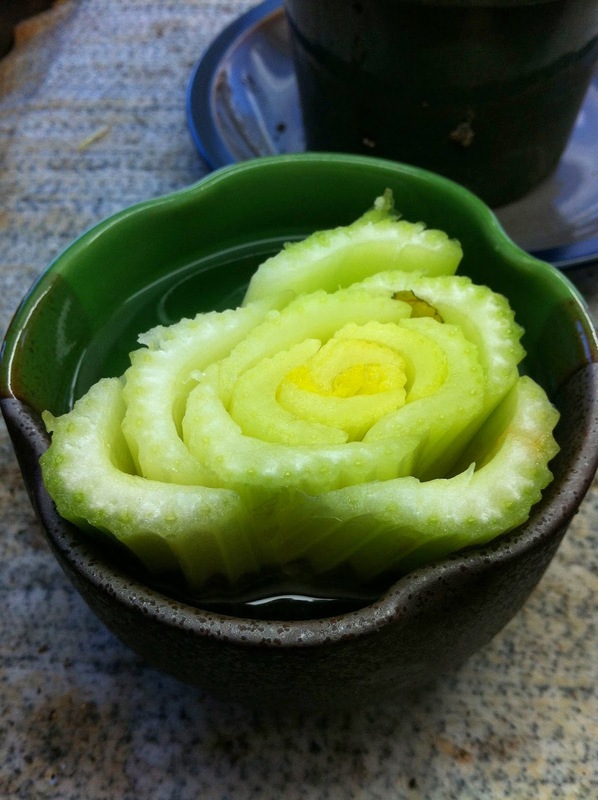 Place it in a small, shallow bowl of water, in a bright, sunny location. Really, that’s it! Over the next few days the inner part of the cut end will begin to grow up, and the outside will begin to brown and rot, feeding the new celery growth. 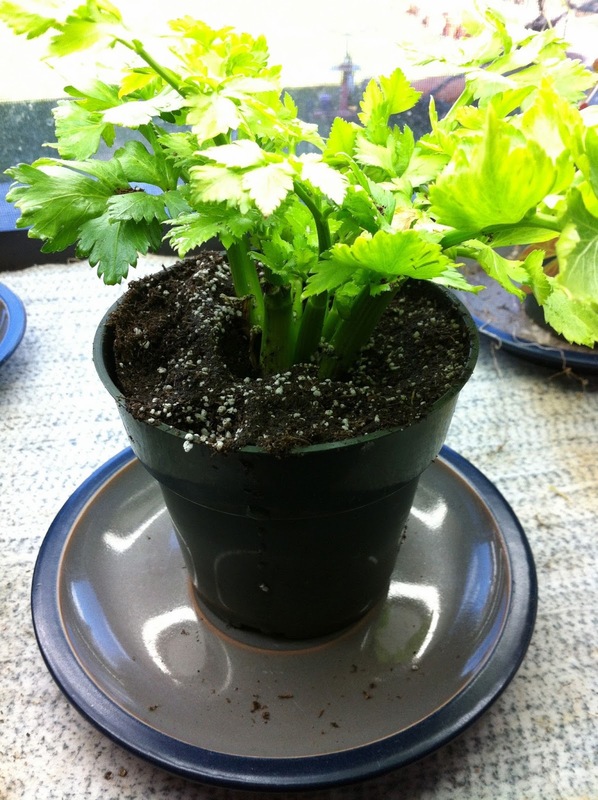 When the leaves grow, it’s time to plant your new celery in soil in a pot. It’s so easy my children can do it. In fact, it is a great hands on learning activity for preschool and school-aged children. This plant is very ready for soil. We now have four plants growing, but even two plants would be enough to provide celery through the summer, because we cut what we need and don’t feel the need to finish up what is in our fridge. With enough sunlight this will continue to grow. 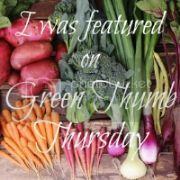 There are many other vegetables that can be grown from kitchen scraps, such as onions, avocados, sweet potatoes and yams, ginger, green onions and scallions, lettuce and leeks. Good for you! I've seen ideas like these but never tried them. I really need to! Great tutorial! I am going to try this. Already itching to start some plants. I LOVE this idea. You rock! I love this idea! Have tried potatoes but not celery. I love the whole concept of this! I've got a bunch of ends of romaine in water on my countertop right now. Earth Hour: Is it Slacktivism? Reuse It Like a Rock Star - Grocery Edition.